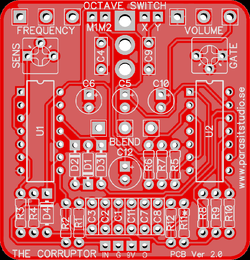 The Corruptor is a brutal and glitchy sounding CMOS-based octave up fuzz and ring modulator. 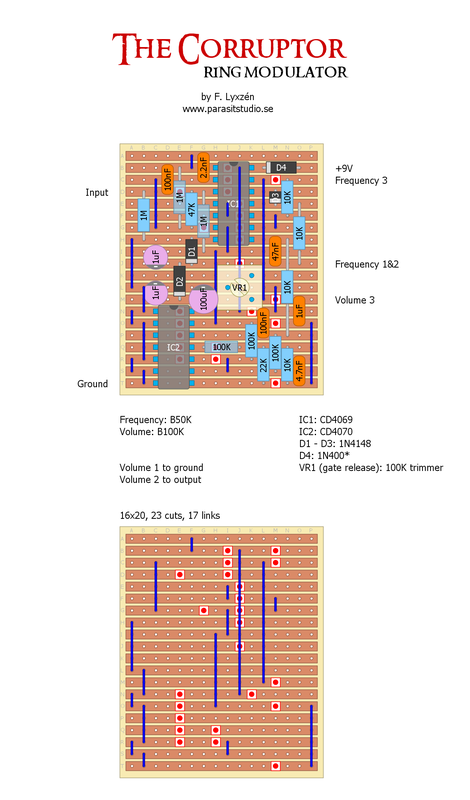 It turns your guitar signal into a square wave and modulates it against an internal oscillator. The ring modulated sound can be blended with the square wave fuzz that can be either straight fuzz or one octave up for extra insanity.